What did Hollywood do, when Nazis came calling? 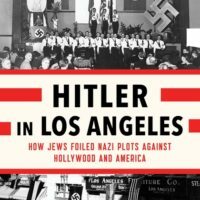 Efforts by Nazis to influence Hollywood during the decade before World War II have long occupied historians of the period, resulting in numerous studies. Two new books have in recent months joined that parade, and have cast fresh light on an enormous controversy that arose in 2013 when two other books appeared that dealt with Hollywood’s confrontation with Nazism.